The Ekaterinburg Arena, then still called Central Stadium, was built between 1953 and 1957. The stadium was initially a multi-sports arena, also hosting athletics and ice skating events. Central Stadium, with a capacity of 27,000, remained largely unchanged in the next decades until plans were made in the mid 2000s to extensively redevelop the stadium. Works started in 2007, and, after multiple delays, were completed in 2011, giving the stadium an extensive make-over, but keeping the athletics track and sticking with a similar capacity as before. Unfortunately, the recently renovated Central Stadium did not meet FIFA standards, and thus new redevelopment plans had to be made. 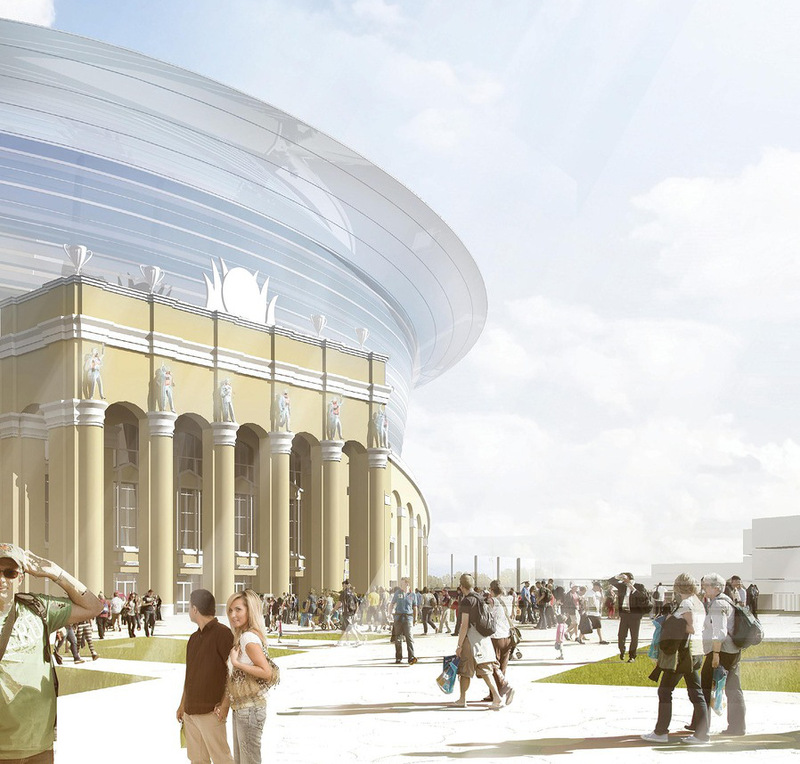 The protected external facade would have to be preserved, but otherwise the entire interior had to get rebuilt, boosting capacity to 45,000 seats. It took a long time for the project to be given the go ahead, even casting doubts on Yekaterinburg’s status as a host city, but building works eventually kicked off in the spring of 2015. The new and rebranded Ekaterinburg Arena reopened on 1 April 2018 with a league match between FC Ural and Rubin Kazan, though still at limited capacity of 20,000. 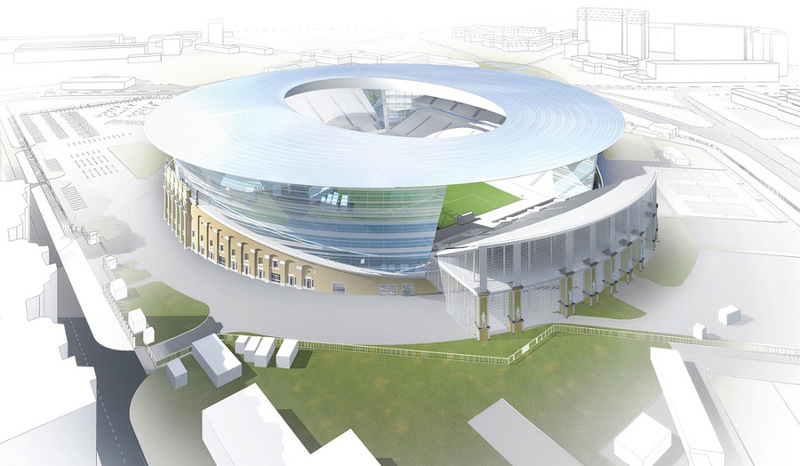 During the 2018 World Cup, the Ekaterinburg Arena will host four first round group games. After the World Cup, capacity will be reduced to 35,000 seats by removing the temporary seating behind both goals. 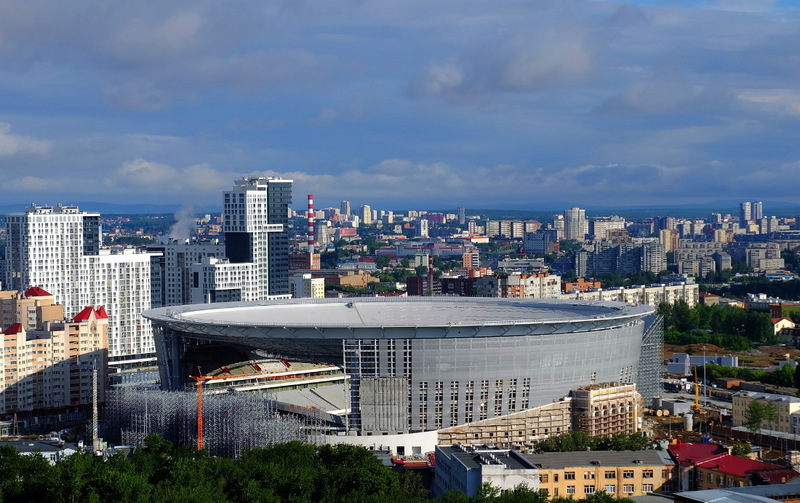 The Ekaterinburg Arena is located centrally in a busy neighbourhood that is a mix of residential and office buildings. There are a few local bars and restaurants around the stadium, but it is just outside the centre so choices are limited. The food outlets at the mall on Malysheva Street, a 5-minute walk from the stadium, will come in handy of you need something quick. The city centre is less than a 30-minute walk away though, just follow Malysheva Street east, where there’s plenty of choice. Most modern bars and restaurants are in the part east of the river Iset around the principle Malysheva Street and Lenin Avenue. There are various hotels near the Ekaterinburg Arena, and many more apartment rentals. Hotels at just a few minutes walking distance include Guru Hotel, Vash Hotel, and, if you’re on a budget, Hostel Champion. However, if you’re looking to stay close to Ekaterinburg’s city centre as well, you may prefer the Double Tree Ekaterinburg, Emerald Hotel, or Hotel Olymp. These are all at 15 minutes walking from the arena, but also at short walking distance from the centre. Click here for an overview of hotels near the Ekaterinburg Arena, or here to explore options elsewhere in Ekaterinburg. Tickets for FC Ural games can be bought online, or at the club shop at Grinvich shopping centre in central Ekaterinburg. Email ticket@fc-ural.ru for more information. Fc-ural.ru – Official website of FC Ural.